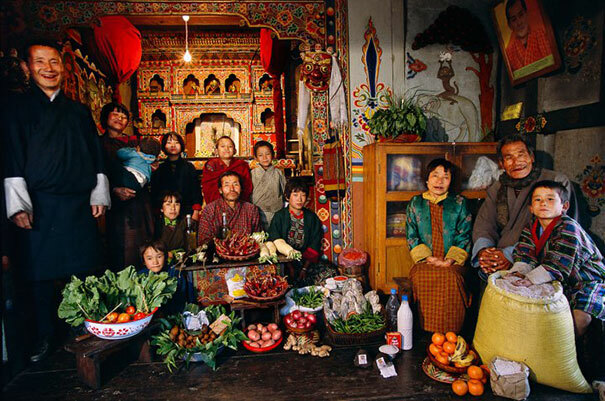 Photographer Peter Manzel takes traditional food photography to a global scale. 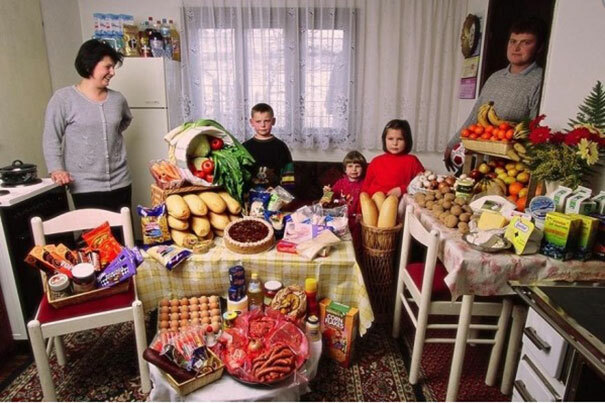 In his book Hungry Planet, he took snapshots of what families around the world eat. 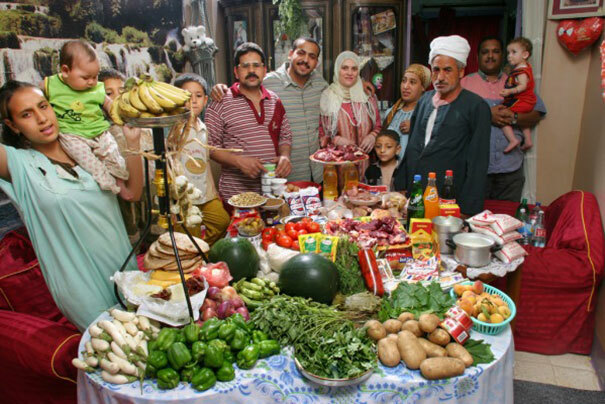 His fascinating photos give us a rare glimpse of the cultural differences of diets, and how environments and cultures influence the diets of different nations. 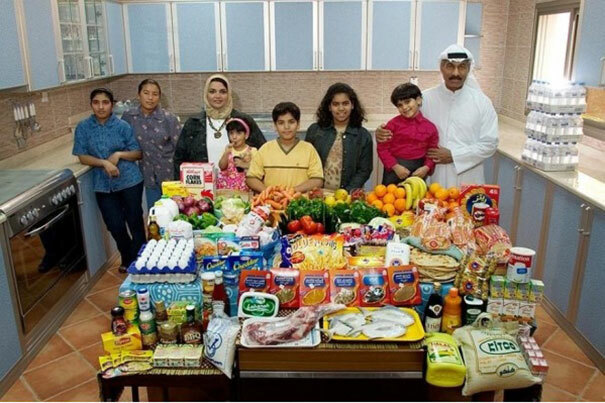 The Ahmed family spends around $78 per week to feed the entire family. 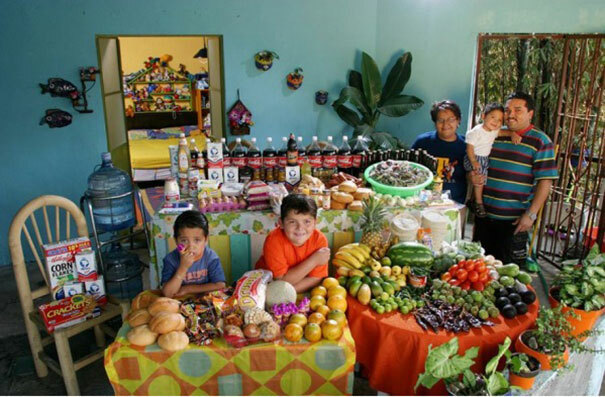 The Ayme family spends around $32 per week on their groceries. The Revis family spends around $342 per week on groceries for their family of four. 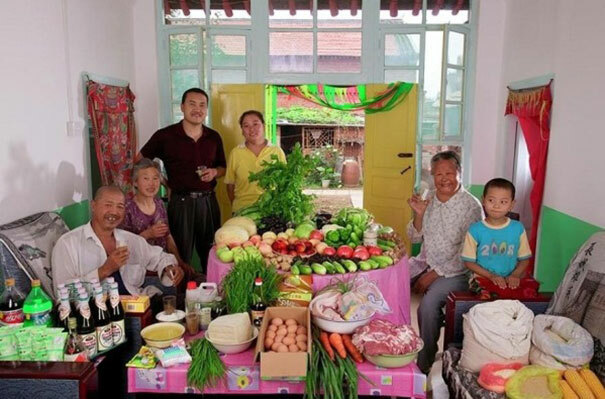 The Cui family spends around $65 per week on their groceries. 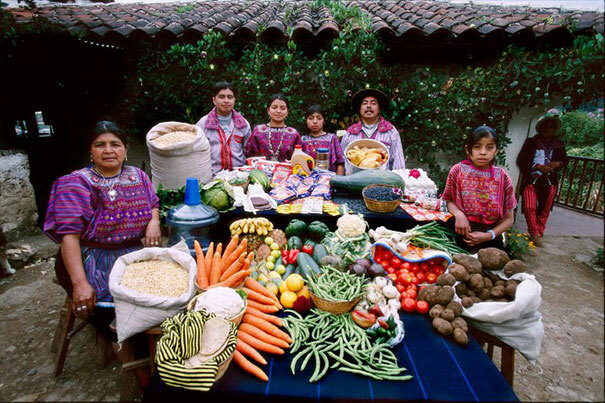 The Natomo family spends $30 per week on groceries to feed their large family. 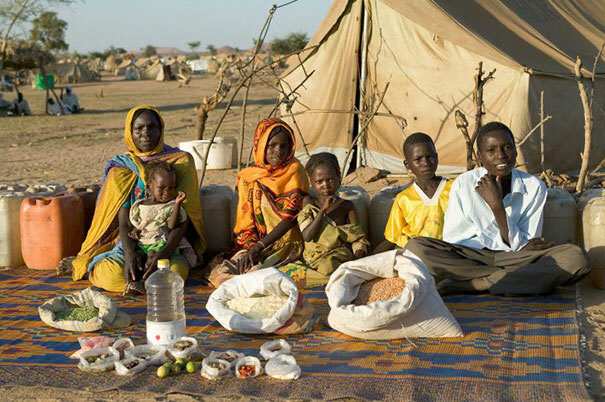 The Al-Haggan family spends around $252 per week to feed their whole family. 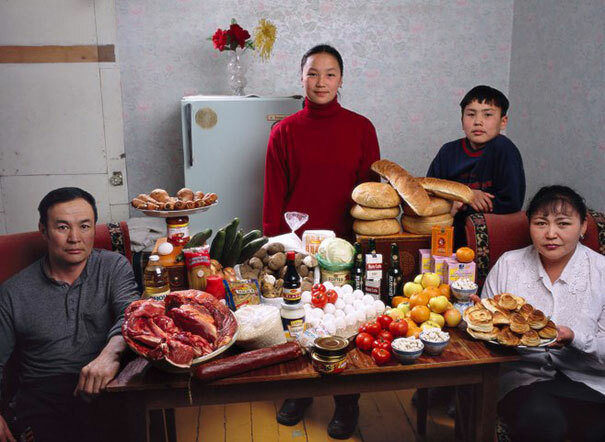 The Ukita family spends around $361 per week on their groceries. 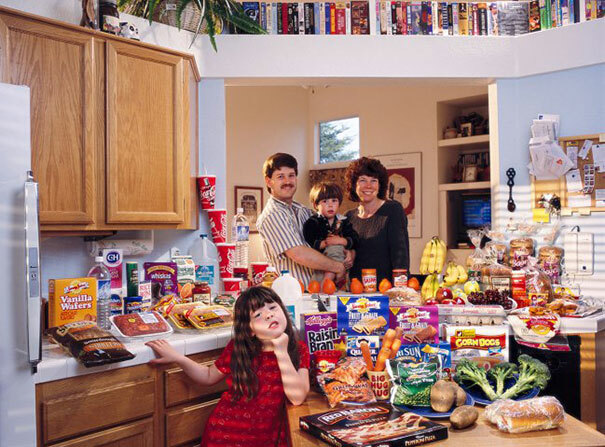 The Manzo family spends around $295 per week on their groceries. 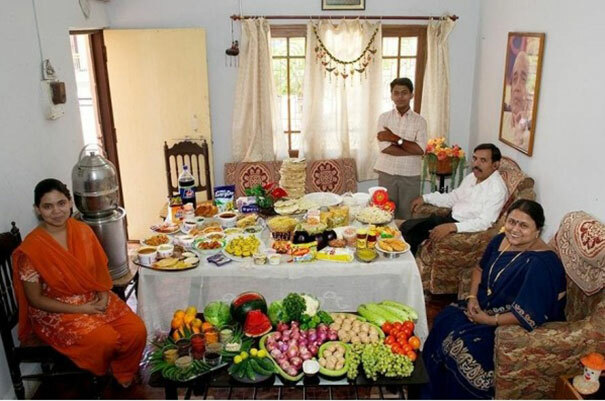 The Patkar family spends around $45 per week on groceries. 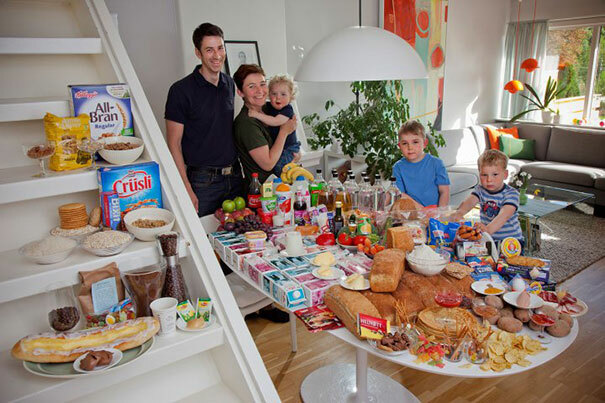 The Melander family spends a whopping $568 per week on groceries for a family of four. 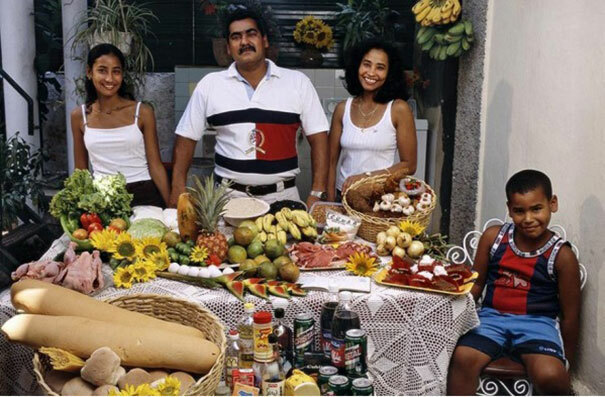 The Costa family spends around $64 per week on groceries. 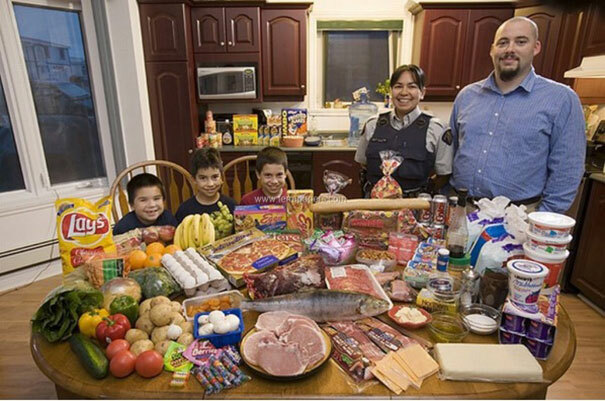 The Melanson family spends around $392 per week on groceries. 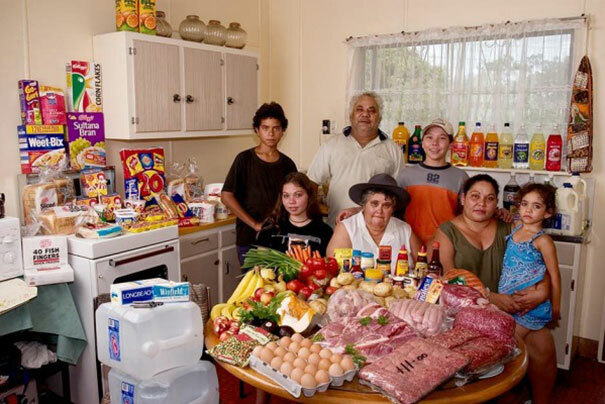 The Dudo family spends around $90 per week on groceries to feed their entire family. 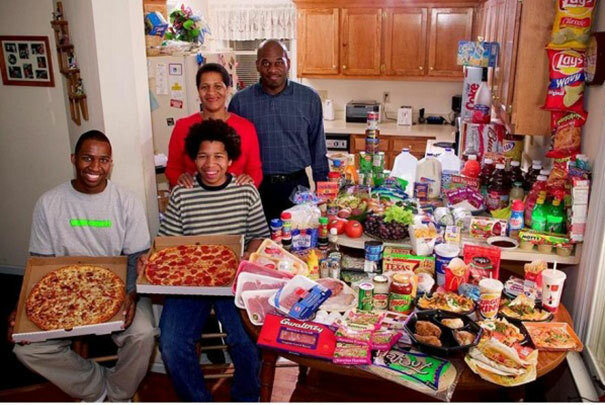 The Brown family spends around $428 per week on groceries. 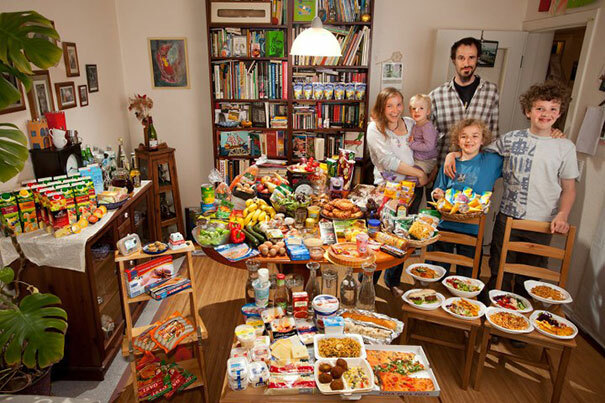 The Sturm family spends around $325.81 per week on groceries. 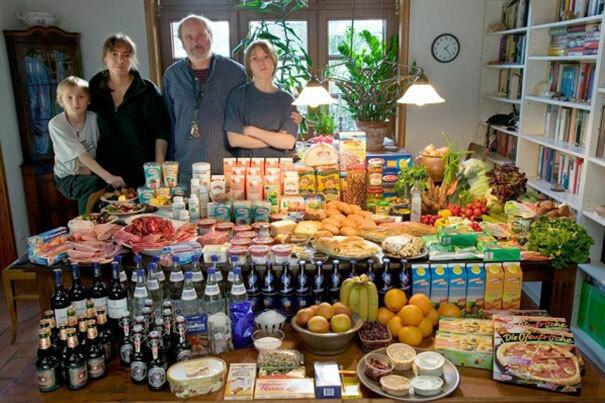 The Ottersland Dahl family spends around $379.41 per week on groceries. 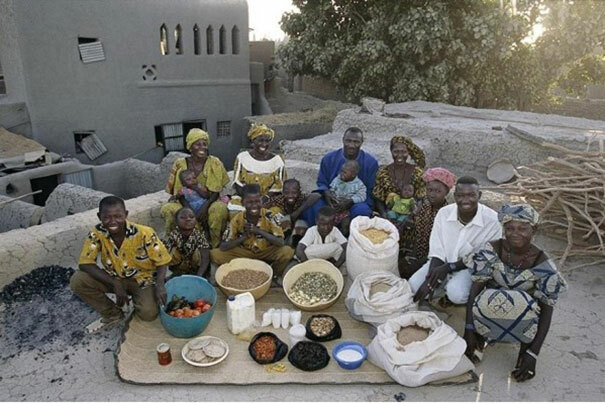 The Aboubakar family spends $1.23 per week to feed the entire family. 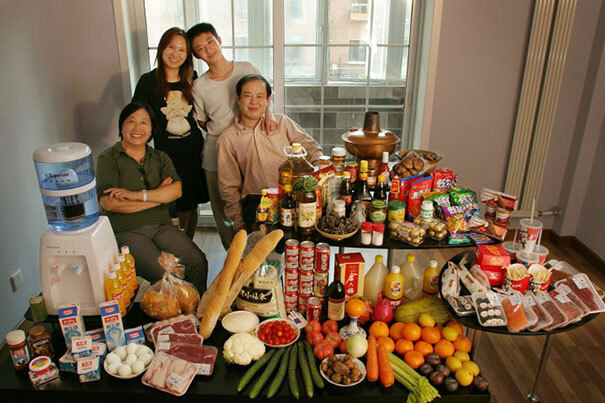 The Dong family spends $155.06 per week on groceries. 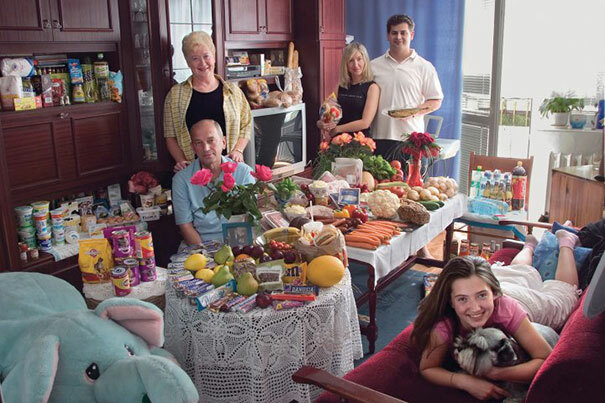 The Sobczynscy family spends $151.27 per week on groceries. 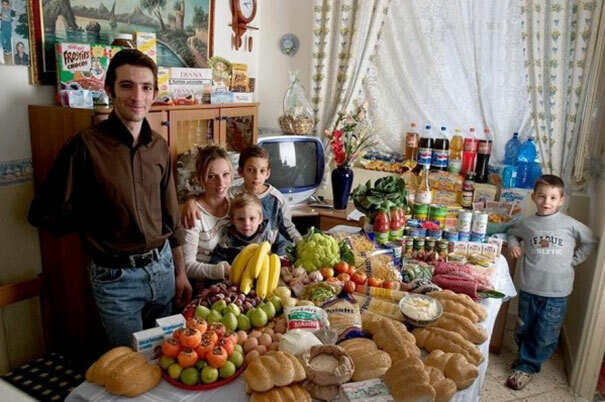 The Mendozas spends $75.70 per week on groceries. The Caven family spends $159.18 per week. 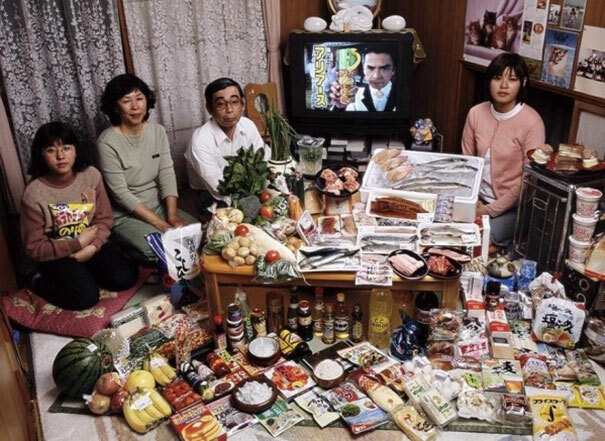 The Batsuuri family spends $40.02 to feed their whole family. 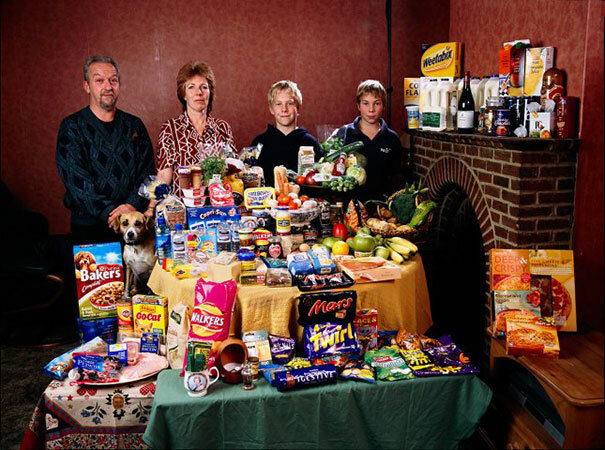 The Bainton family spends around $253.15 per week. 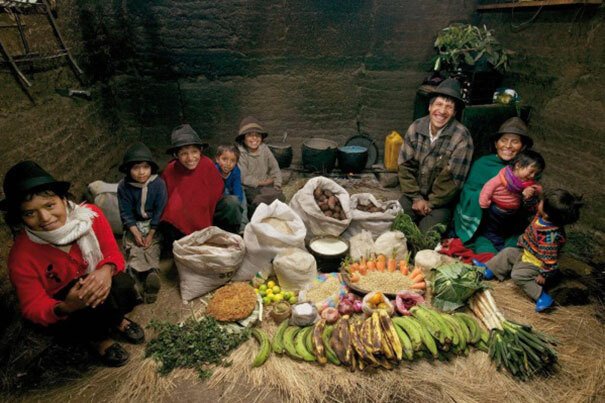 The Namgay family spends $5.03 per week to feed their entire family.